Are you concerned about someone's safety? Did you witness discrimination or harassment? Please report incidents and help keep everyone safe! Are you unhappy with your experience at PCC? Do you have a special circumstance that needs attention? Do you want to give someone a pat on the back for a job well done? This page describes several options for submitting appeals, raising concerns, filing complaints, and sharing feedback with the college. If you were unable to complete a course due to circumstances beyond your control, you may file a tuition appeal. Prior to submitting your appeal, please review PCC’s registration policies and payment policies. Federal regulations require that all students who receive financial aid must maintain Satisfactory Academic Progress (SAP). You will be notified if you no longer meet Financial Aid Satisfactory Academic Progress and have the opportunity to submit an appeal. A Grade Appeal is a process used by a student when they believe their Right to Protection from Improper Evaluation has been violated. This process is used for appealing final course grades only. This process is not to be used to appeal grades for individual assignments or exams. 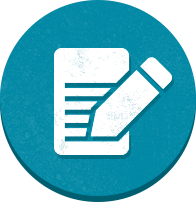 Before submitting your grade appeal form, review PCC's Student Rights and Responsibilities. If you have experienced a sudden and unexpected circumstances that prevented you from meeting drop, withdrawal, or grading option deadlines, you may appeal for an exception to the deadline or to have your transcript updated. Your appeal must be received by the college within 90 days from the end of the term. If you are seeking both a tuition refund and a transcript change, please file a tuition appeal and note in the "Desired Outcome" section that you are also seeking a transcript change. If you are seeking a transcript change only, email pccregistrar@pcc.edu from your PCC email account and include your Name, G#, Term, CRN, Course Number/Title, Explanation, and Requested Action. Documentation of the circumstances must be attached or faxed to 971-722-7135 before the appeal can be reviewed. Notification of the outcome of your appeal will be sent to your MyPCC email address within 30 days of receipt. You may choose to appeal your academic suspension by completing an Appeal for Exception to Academic Suspension. Before submitting your appeal, review the Academic Standards for Satisfactory Academic Progress policies and procedures. Exceptions are only granted when all student procedures and requirements are followed and documentation of extenuating circumstances is provided. You may have concerns about the learning environment, quality of instruction, or the educational experience while at PCC. If so, use the Complaints process (below). Your first step should be to follow the informal resolution process and speak directly with your instructor in an attempt to resolve your concern. Our goal is that students are satisfied with the education and services received at PCC. If you do have a concern, however, about any aspect of your experience - services received, quality of instruction, interaction with staff - you may follow our complaint process to seek resolution or be heard. Your first step should be to try to resolve the issue informally. If your complaint is about an instructor or specific staff member at the college, please contact them directly. You can use the staff directory to find their contact information. Many issues can be resolved with a simple meeting, phone call or email. If your attempts to resolve the issue informally have failed, you may submit a formal written complaint to a Dean of Students office. Complaints are reviewed and forwarded to the appropriate college administrator for investigation and response. Submit an online complaint form or email, mail, or deliver the complaint form to a Dean of Students office. We would love to hear what we did well! The best way to compliment or recognize a PCC faculty or staff member or highlight a positive experience you have had at PCC is to deliver it directly to the department. You can use the staff directory and PCC website to search for contact information. Feel free to contact the Dean of Students at any campus for assistance. We are always working on improving our services and the student experience. If you have a suggestion for us, please use the Complaint/Suggestion Form. Submit an online suggestion form or email, mail, or deliver the suggestion form to a Dean of Students office. Course evaluations are offered to registered students of credit classes taught at PCC. They are a great place to share information about your experience with a course. Course evaluations collect general feedback about the quality and delivery of classes. Course evaluations are available online near the end of the term. All course evaluations are completely confidential and voluntary. You will receive an email confirmation after submitting the evaluation.